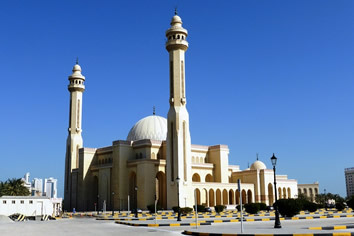 Doha (Qatar), Muscat, Nizwa (Oman), Manama (Bahrain), Abu Dhabi, Dubai (UAE) & more! 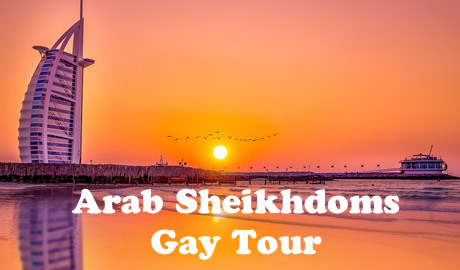 Cultural gay group tour of Qatar, Oman, Bahrain and United Arab Emirates. The Middle East is living, breathing proof of an old maxim: you don’t know, until you go. Forget the headlines and the hyperbole; this is the cradle of civilisations, an ancient land emerging as a modern power, with the money, culture and panache to back it up. 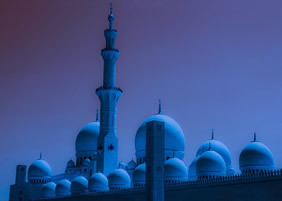 We have tailored this unique 12-day journey to provide you with a rare and fascinating glimpse of the best places in the Gulf to experience the sharp contrast between traditional and ultra-modern Arabia in Oman, UAE, Bahrain and Qatar. Wander through mud-brick villages with exotic bazaars and gardens, explore quiet stretches of coast lined with palm trees, travel through beautiful desert and mountain landscapes featuring venerable forts and visit numerous World Heritage Sites. 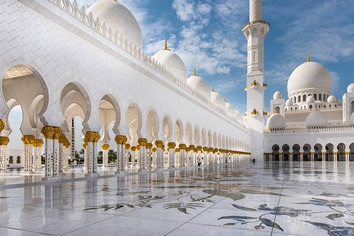 Visit United Arab Emirates, which over the past few decades have become some one of the world’s most glamorous, spectacular and futuristic urban destinations and are providing the Islamic world with a model of political stability and religious tolerance. Depart USA, Canada on regularly scheduled flight to Doha, Qatar. • Afternoon introductions to this burgeoning megalopolis! • Fly to Muscat, Oman. • Dinner in a local restaurant. • An early morning flight to Abu Dhabi. • Drive on the palm to visit the Atlantis Aquarium. 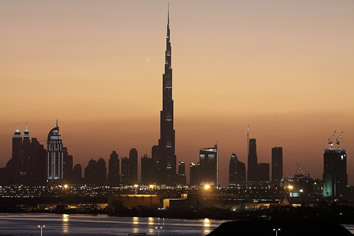 • The UAE comprises of 7 Emirates. 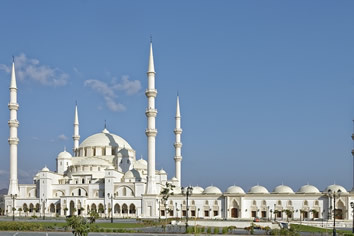 These include Abu Dhabi, Dubai, Sharjah, Ajman, Umm Al Quwain, Ras al Khaimah and Fujairah. These were independent sheikhdoms which unified as the United Arab Emirates in December of 1971. Though a political union, the individual emirates still have their own kings and local rules. 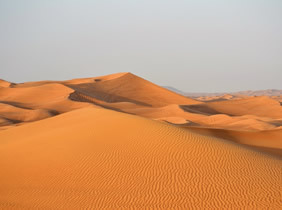 The Arab Sheikhdoms Tour will help us explore all the emirates. 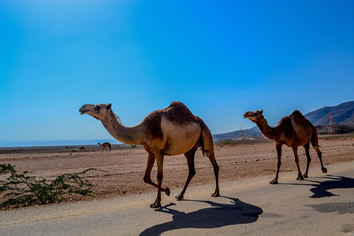 • After witnessing the lifestyles of the rich desert people of these remarkable sheikhdoms, we are transferred to the airport for our departure. Intra-tour flights are additional. The cost is currently approx. $600 in coach class. Coda Tours will book the intra-tour flights. Rates are subject to change until ticketed. A valid passport is required for international travel and must be valid for 6 months after the return date. 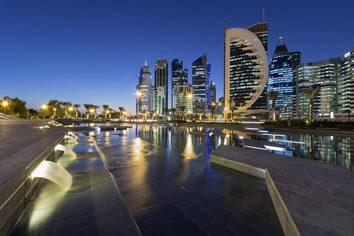 When traveling on a U.S. passport, the Government of Qatar does not require prior visa arrangements and travelers may obtain a free visa waiver upon arrival. The waiver is valid for 30 days from the date of issuance and entitles the holder to spend up to 30 days in Qatar, or multiple entries during the 30-day validity. Passports must have a minimum validity of six months. More information can be found on the Government of Qatar website. Apply for two-week tourist visas online on the Bahraini government website or upon arrival in the country. 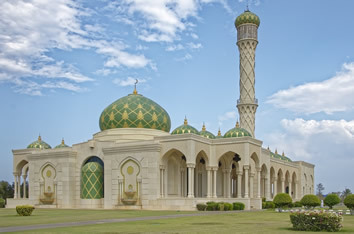 A U.S. citizen with a regular passport may obtain a no fee visitor visa upon arrival. Be sure you have enough empty pages in your passport. Due to the existing embargo in place between UAE and QATAR, flying into Qatar and out of UAE is limited. Please check with us for the best routing from your home city. We recommend booking at least 7 months in advance if you want to use Frequent Flyer Miles or the American Express Platinum card 2-4-1 program. No immunizations are required for travel on this tour. However, the Center for Disease Control suggests that all travelers make sure they are up-to-date on routine vaccines before every trip. These vaccines include measles-mumps-rubella (MMR) vaccine, diphtheria-tetanus-pertussis vaccine, varicella (chickenpox) vaccine, polio vaccine, and your yearly flu shot. This property is a 6-minute walk from the beach. Nestled on the shores of the Arabian Sea, the Ritz-Carlton Doha resort features a private beach with a free shuttle to and from the hotel. It also features a world-class spa, modern fitness center and elegant restaurants and bars. The property also features indoor and outdoor swimming pools and lush landscaped gardens. The Lagoon restaurant, with its open kitchen, features a varied all-day buffet dining, combining Continental, Arabic and Far Eastern flavors. Flamingo offers panoramic sea views by the pool and serves snacks and light meals. STK Doha, a steakhouse, is opening soon and will be located on the 23rd floor. Afternoon tea can be enjoyed in the Lobby Lounge while La Dolce Vita and Habana offer live entertainment, evening cocktails and cigars. This property is a 5-minute walk from the beach. This 5-star beachfront resort in Muscat is a 15-minute drive from Muscat International Airport. It has a spa with massage services, swimming pools. Free WiFi is available throughout the entire property. The air-conditioned rooms at The Chedi Muscat Hotel have a flat-screen TV, a private espresso machine and a spacious work desk. Some rooms have a seating area. The Chedi Muscat also features 6 restaurants where guests can enjoy Arabic, Asian, International and fusion cuisine. The restaurants have indoor and outdoor dining areas. The Chedi Muscat’s spa specializes in Balinese therapies, but also features therapies based on aromatherapy, Ayurveda and herbalism. 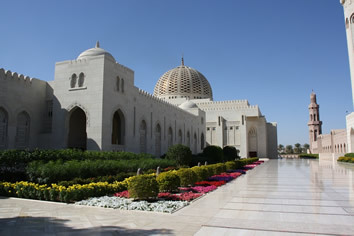 This property also has one of the top-rated locations in Muscat! This property is 3 minutes walk from the beach. Located on the Manama seafront, this luxury hotel features an air-conditioned squash court and flood-lit tennis courts on the beach. It has an on-site shopping section with 6 designer boutiques. 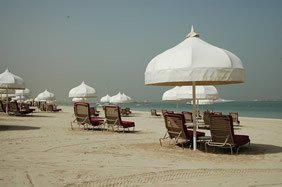 Ritz-Carlton Bahrain's spa offers variety of beauty treatments including its signature massages. Guests can stretch their muscles using the fitness center’s cardio-vascular stations and resistance machines. Each room at The Ritz-Carlton features 600-threadcount linen and offers 3 different types of pillows. Each room features interactive flat-screen TV with access to multilingual satellite channels. Overlooking the landscaped gardens, Primavera serves light Italian dishes which include fine appetizers and gourmet dishes. Burlington Club features a well-stocked cigar collection as well as vintage wines and cognacs. Towering high at 303 m across 63 levels, Address Downtown Hotel is a veritable landmark of luxury, located in the very center of Downtown Dubai. 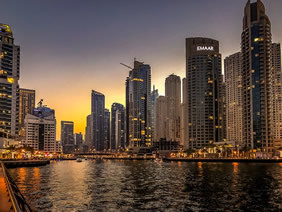 The hotel directly overlooks Burj Khalifa, offers uninterrupted views of the daily Dubai fountain show (the world’s tallest water-music spectacle) and is connected to The Dubai Mall (the world’s largest shopping mall) by a pathway-bridge. Guests can choose among 9 unique restaurant concepts, serving a variety of cuisines from Asian to Latino, as well as local Middle Eastern specialties. The in house Neos Bar is located on the 63rd floor and overlooks the ever-changing Dubai skyline and Dubai Fountain View. As a a wellness destination with state-of-the-art Technogym center, Address Downtown also offers an exclusive spa with 9 treatment rooms. 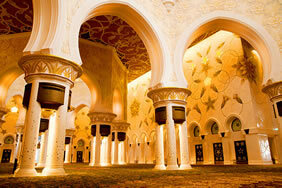 The hotel is located next to Souk Al Bahar. 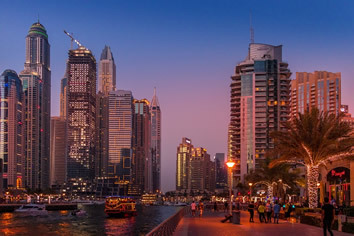 Popular nearby attractions include the notorious Burj Khalifa skyscraper, the Dubai Fountain and the Dubai Mall, the greatest in the world. Intra-tour flights are additional. The cost is approx $600 in coach class. Coda Tours will book the intra-tour flights. Rates are subject to change until ticketed.